In 2013 Parking Australia commissioned research by the Institute of Sustainable Research at the University of Technology (Sydney), regarding the impacts of legislative changes to parking operations in NSW. A key recommendation from the report was the development of a code of practice. In 2014 a national series of parking industry roundtables developed recommendations which evolved into the framework of The Code, with its main aim to maintain a fair balance between the rights of the motorist and those involved in the management and enforcement of parking on private and unregulated land within Australia. 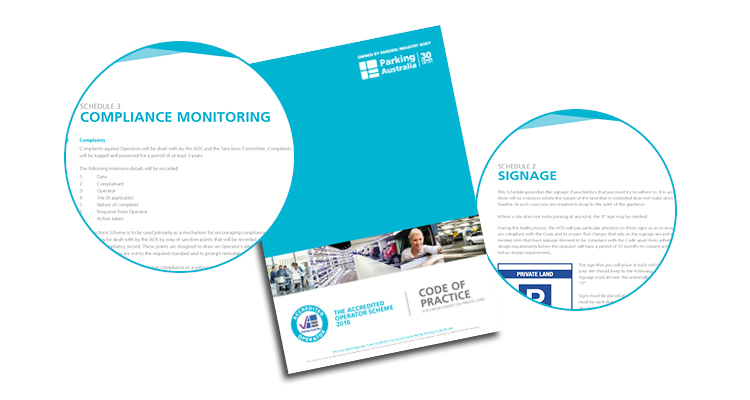 Over an 18 month period the Code of Practice was developed and launched in May 2016. To qualify for Accredited Operator status an operator must undergo a rigorous examination of all forms of documentation, processes and signage.